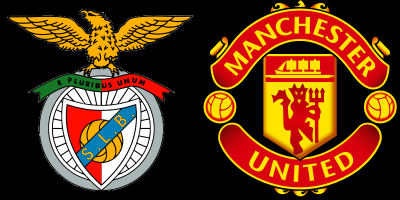 Manchester United will be looking to continue our excellent start to the season when we take on Benfica at the Estadio da Luz on Wednedsay night. We turn our attentions to the Champions League after the exertions of the weekend in which we held Liverpool to claim a valuable away point at Anfield. José Mourinho and his team are currently on a run that is sure to strike fear into the Portuguese giants. Last time out, we beat a beleaguered CSKA Moscow side 4-1 in Russia while Benfica surprisingly lost 5-0 in Switzerland to Basel. We take a look at our probable starting eleven for the clash against the Portuguese champions. David de Gea is in the form of his life and showed why he is probably the best goalkeeper in world football with a virtuoso display against Liverpool. Barring any injury he should feature in Portugal. Chris Smalling is expected to continue due to Eric Bailly’s absence. The Ivorian has been an ever present for Jose since his arrival from Villarreal last summer but has seen his place in the side threatened by Smalling. Victor Lindelof is set for an emotional return to the club he made his move on Wednesday. The Sweden international has struggled badly since arriving from Portugal and among familiar faces, he will be looking to impress his manager. At left back, Daley Blind should come in for this one while at right back, Antonio Valencia should keep his place after he dealt with Liverpool attack sufficiently last time out. With the likes of Pogba and Fellaini out injured, Nemanja Matic and Ander Herrera are still expected to feature against the Portuguese champions in the middle of the park. Further forward, Marcus Rashford will be fully fit for this clash after overcoming a minor injury concern by playing in the draw in Merseyside. In the hole behind the striker, Juan Mata should feature as Jose gets to rotate his players. Mata looking to re-enact his performance for Chelsea in the 2013 Europa League final where he broke Benfica hearts with an assist for Ivanovic that won Blues the game. Taking the right of an attacking midfield trio should Jesse Lingard, the England player has barely featured this season due to the form of Martial and Rashford, but could get his chance against Benfica, who are not in the best of form. Despite playing badly in the draw at Liverpool, Lukaku is expected to start for us as we look to get us a win that will help our cause of qualifying for the knockout stages. He has scored 3 times in 2 matches in what is his debut campaign in the competition. Predicted lineup: De Gea, Valencia, Smalling, Lindelof , Blind, Matic, Herrera, Rashford, Mata, Lingard , Lukaku.